Clyde Smith, a partner at Smith & Company Barristers in Kingston, Ont., is appointed a judge of the Superior Court of Justice and a judge ex-officio of the Court of Appeal for Ontario. He replaces Justice Peter A. Douglas (Barrie), who was appointed to the family court branch effective Nov. 9, 2017. Please note the chief justice has moved this vacancy to Lindsay, Ont. 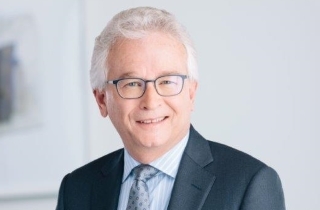 Howard Leibovich, director of the Crown Law Office-Criminal, at the Ministry of the Attorney General in Toronto, is appointed a judge of the Superior Court of Justice, and a judge ex-officio of the Court of Appeal. He replaces Justice David Salmers (Oshawa), who elected to become a supernumerary judge effective July 28, 2018. According to the government’s press release, Justice Smith was born in Vancouver and grew up in Toronto. He spent 10 years between high school and university working in a variety of blue-collar jobs which included working for an oil exploration company in the Mackenzie Delta, on a seismic crew in Alberta, and in a logging camp in Haida Gwaii. Justice Smith also spent a number of years in the transportation business where he took the wheel of everything from a Calgary taxi cab to a triple trailer transport truck. At the age of 27, he enrolled in the liberal arts program at Glendon College, York University in Toronto, where he spent two years studying Canadian history and English literature. He then moved on to study law at Osgoode Hall Law School, where he earned his law degree in 1988. Justice Smith has spent the years since then happily engaged in the practice of criminal law, appearing as defence counsel, and occasionally for the Crown, in all levels of courts in Kingston and elsewhere in eastern Ontario. Justice Smith has served on the boards of a number of charitable and not-for-profit organizations. He is a member of the Ontario Justice Education Network, an instructor in the Introduction to Legal Skills course at Queen’s University Faculty of Law and has written and lectured on the topic of the intersection of criminal and family law and its impact on families and children. Justice Leibovich was born and raised in Montreal and graduated from McGill University’s Faculty of Management with a bachelor of commerce. He then received his bachelor of civil law and bachelor of law from McGill University’s Faculty of Law and moved to Toronto where he began his legal career in 1996 at the Crown Law Office-Criminal. Justice Leibovich has prosecuted criminal cases at all levels of court with the majority of those cases taking place in the Ontario Court of Appeal. He became director of the Crown Law Office-Criminal in 2011 where, in addition to his litigation practice, he was responsible for the overall operations of the office. Justice Leibovich was the chair of the Ontario Criminal Conviction Review Committee, with a mandate to examine past cases for potential miscarriages of justice. He was also a member of the Death Investigation Oversight Council, an independent body that oversees Ontario’s death investigation system. Justice Leibovich is deeply committed to legal education and has regularly trained the police and members of the legal profession and judiciary. In addition, he has created educational programs and courses for Crown counsel, Crown managers and the provincial attorney general. Justice Leibovich regularly volunteers his efforts for his community, serving on the board of the Toronto Heschel School, where he also sits on various of their committees and has coached their softball teams. He is a current coach and board member of the North York Baseball Association.